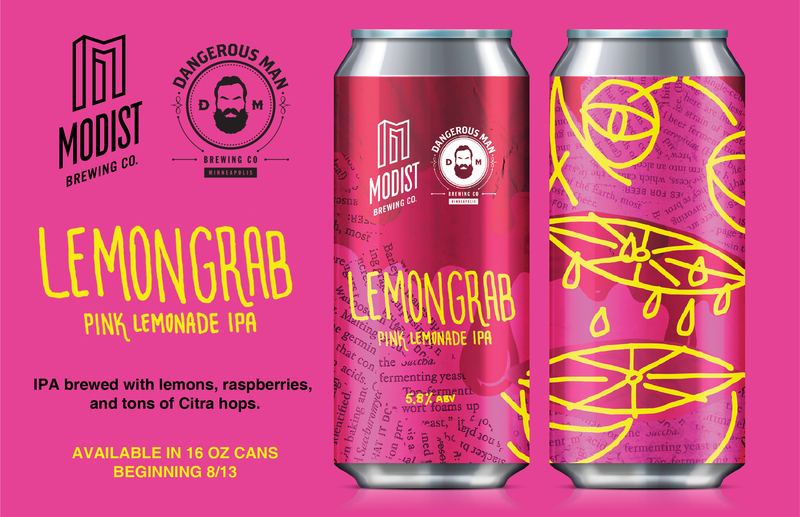 Dangerous Man and Modist collab coming to liquor stores! - Modist Brewing Co. 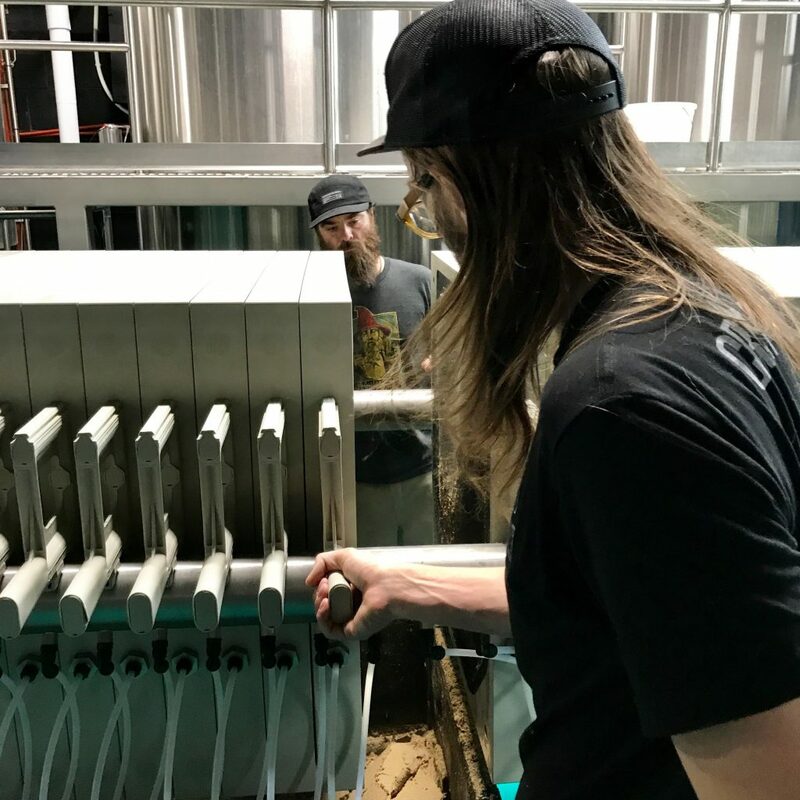 Dangerous Man and Modist collab coming to liquor stores! We are beyond happy to announce that we have teamed up with Dangerous Man to re-release one of our fave beers from last year AND THIS TIME IT’S IN TALLBOY CANS!!! Lemongrab Pink Lemonade IPA will be released at select liquor stores on Monday August 13th. Yes, you’re reading this right – for the first time ever, YOU WILL BE ABLE TO GET A DANGEROUS MAN BEER AT A LIQUOR STORE. If you would have told me 5 years ago that Keigan and I would be collaborating on a beer to hit the market, I would have never believed you. It’s pretty amazing that we made this happen and I’m super excited about all of it. 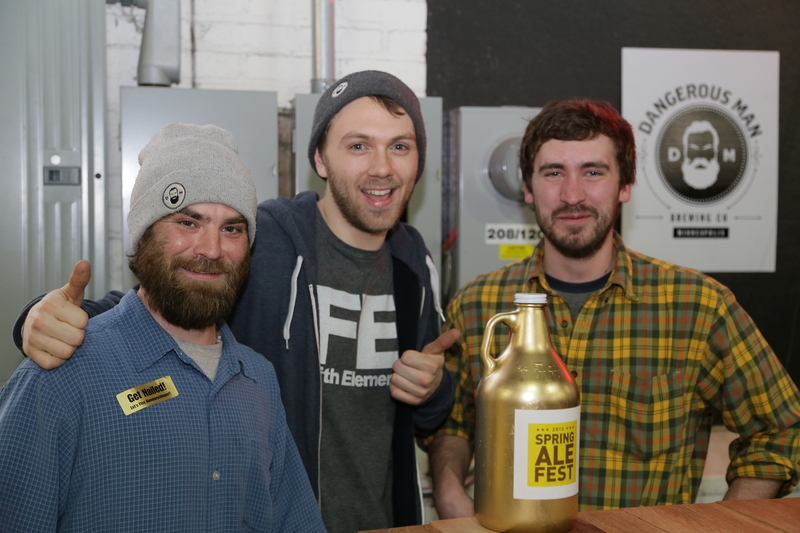 The beer itself is just a great summer drinking brew combining two of our favorite things, lemonade and beer. Seeing how well it was received last year at In Cahoots, we knew we wanted more people to get their hands on some of this. We are honored to be working with Modist and truly view them as family. Keigan and I have more plans to create together and grow the relationship of Modist and Dangerous Man. Lemongrab will hit liquor stores Monday, August 13th. Full account list will be available below on Thursday, August 9th. We’ll be co-hosting a Can Release Party at Grumpy’s NE on Monday, August 13th. Lemongrab will be on tap and in crowlers at both taprooms beginning Friday, August 17th. Can artwork by the one and only Dangerous Man Brewer/Artist Alxndr Jones.